California Cottage Campsite is a quaint site providing facilities for campers, campervans and there are also glamping options available. There is also a holiday let onsite that can accommodate up to 17 people. 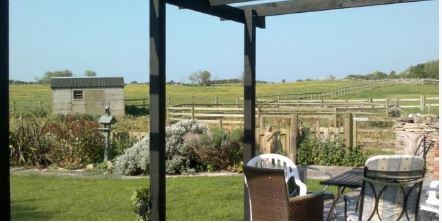 The campsite is located just outside the coastal town of Swanage, Dorset. The area is full of areas to walk, cycle, fish, golf and horse ride. There are also many other attractions to visit such as the Swanage Railway, Lulworth Cove, Durlston Castle, Swanage Pier and the Great Globe.